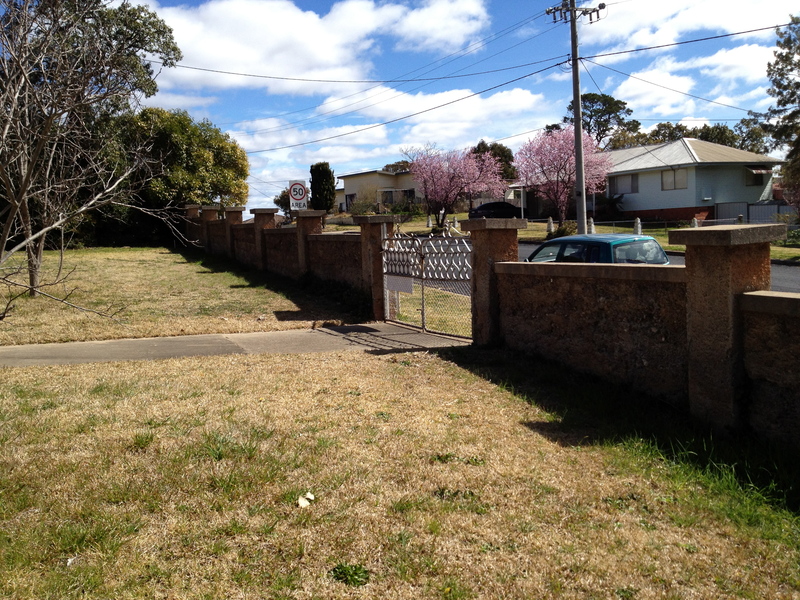 As it was – grass running up to the fence. Low maintenance but just a bit boring for a gardener. 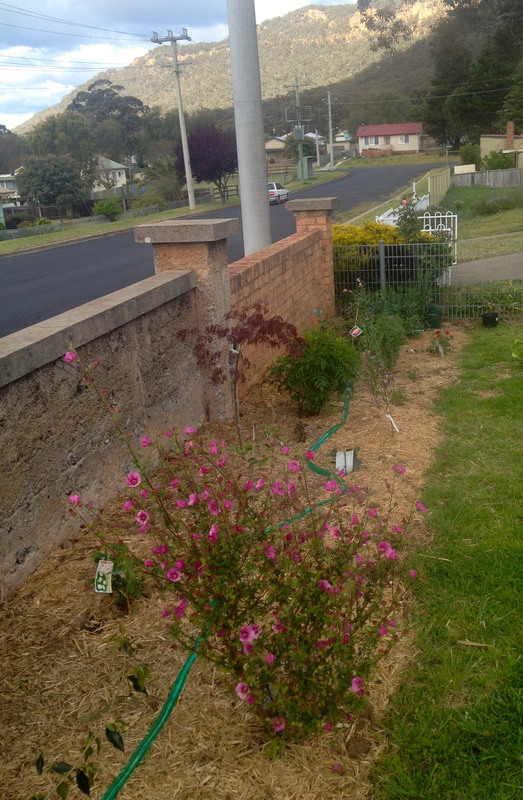 In the quest to rebuild the garden, one of the more obvious options was to put in a bed along the front ash brick wall. Obvious and will look great but it is around 40 metres long and I want a deep bed. With grass running right up to it, that’s a lot of digging. But digging I am doing and now beginning to make progress. 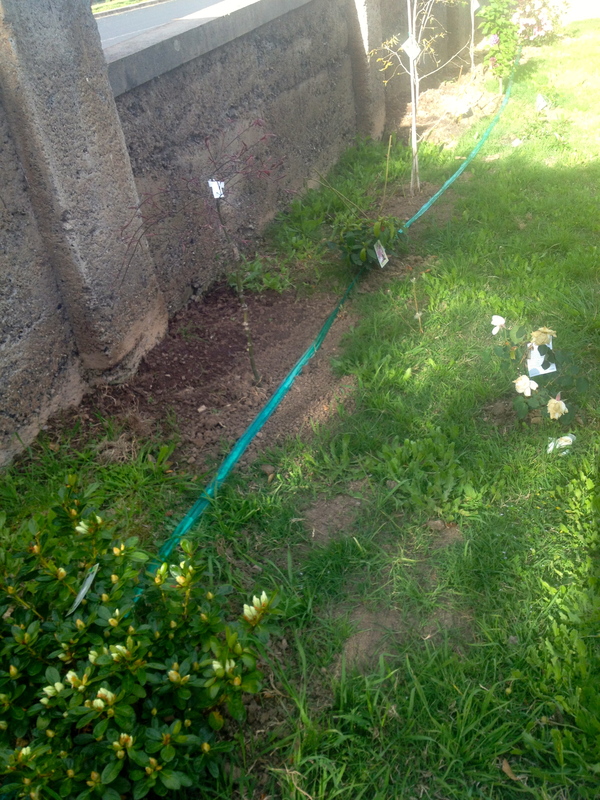 I’ve been planting as I go, starting with the larger plants nearest the wall. 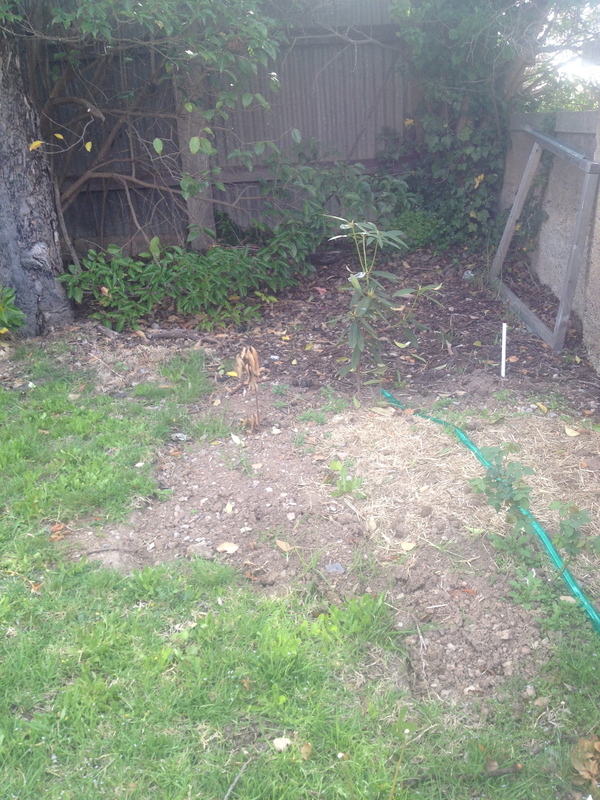 After some foundering, I have realised that the plants will be south-facing. I’m not great with my north, souths etc when asked, so whilst the wall may face north, there happen to be two sides to any wall and I’m not planting that side! 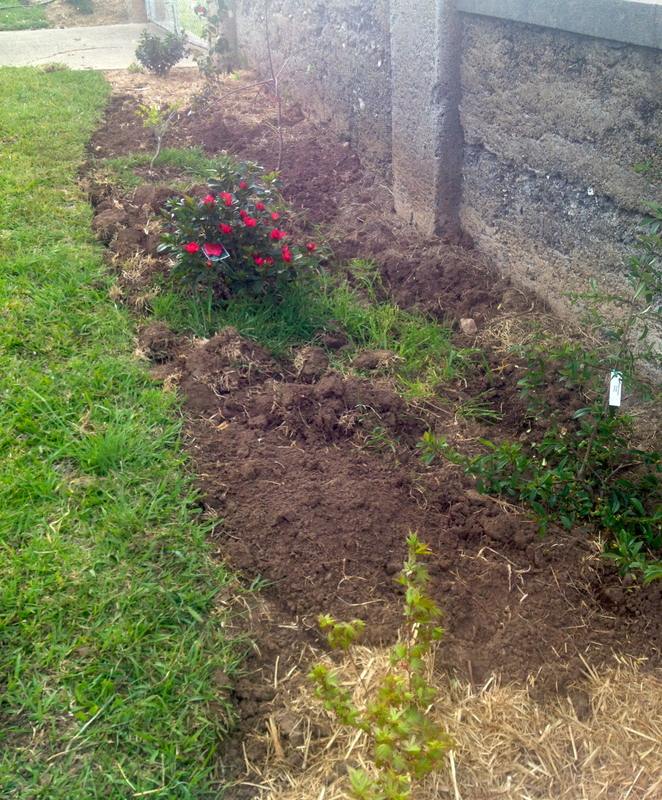 This means that I can plant shrubs that are happy with some shade, such as camellias and azaleas near the wall as they will be more protected. I’ve opted for vigorous climbing roses as they should bundle themselves over the wall onto the footpath chasing the sun (or at least so I hope). There are also some standard maples and other ornamentals including lilacs, which I will endeavour to keep to a reasonable height. The bed is planned to have three layers – the higher plants and climbers at the back, the salvias and sages and mid-sized perennials in the middle and smaller groundcovers and perennials at the front. That’s the plan. I’m getting some inspiration from fellow bloggers, looking at local gardens and heaps of books. I’d like to incorporate some “useful” plants as most of the garden beds include plants that do more than look nice. I already have the odd berry plants and envisage more fruit and particularly herbs playing a role. Tomorrow I hope my sleepers arrive which will add some much needed structure and stop the rampant grass from invading. The bed will be much deeper than it is currently which will make it screamingly obvious how much more I need to dig out! However I’m sure this will be a very rewarding project and give me a wonderful outlook from the front windows and a great deal of future interest as I watch the plants develop. A troublesome corner. I’m thinking it may house a deep bed of azaleas.